I currently host five hours of live radio per week. I broadcast my radio shows from my domicile located within the boundaries of The County of Dallas located within The State of Texas–a member-State of the perpetual Union styled “The United States of America”. I am a man made in our Father YHWH ha Elohiym’s image (Genesis 1:26-28) and “endowed by my Creator with certain unalienable Rights” (“Declaration of Independence”). I am one of the People of The State of Texas and one of the People of The United States of America. My programs are intended only for those men, women and children who are also made in the image of our Father YHWH ha Elohiym and are endowed by their Creator with certain unalienable Rights and members of the People of one of the States of the Union styled “The United States of America”. “Financial Survival,” broadcasts live at 3:00 PM central time, on Monday through Friday afternoons. These programs focus primarily on issues of economics and and politics. The Financial Survival shows are archived at American Voice Radio and DGSCoins.com for one week. I.e., if you click on the “Tuesday” link, you’ll get the most recent Tuesday night program. When we do another Tuesday program, it will replace the previous program at the same link. All four hours of radio are simulcast over http://www.wwfar.com (World Wide First Amendment Radio) and also WWCR shortwave radio at frequency 3.215. All of my radio (and written) comments are my opinions (see Article 1 Section 8 of The Constitution of The State of Texas) and viewpoints (see, Rosenberger v. University of Virginia, S.C.U.S. 94-329) . These opinions and viewpoints are expressed within the venue of The County of Dallas, located within the boundaries of The State of Texas, and intended to be heard only by other men and women within the boundaries of member-States of the perpetual Union styled “The United States of America”. I saw you on the San Antonio DVD on Winstons seminar. Fab work man. Wow, I thought, you are correct, that is the language they have used to legally justify chemical spraying. I phoned the cops back, and spoke to another cop, unfortunately, but she did listen to what i was saying which was what you have discovered. This could be a lot lot bigger than what you said in the DVD, Im in the UK. Just a note for you, It would be great if people could get to see that clip of you on youtube, plus when i get to speak to people i could point them to the clip and say look at that then mate! oh yeah, now you get it. People are being ostriches here. please email the link if you do. Thanks for the compliments. Thanks for reading. For those who don’t understand, Andy is talking about a video of a 10 minute speech I delivered in A.D. 2007 on the “man or other animals” drug laws that effectively declare man to be an animal. It’s nice to see that my observations concerning “man or other animals” drug laws are even beginning have some effect in England. I’d like to have that speech on this website, but I don’t have a copy of the DVD. I’ll try to get one. I did a web search for your name and magazine and will put up a new link on my web page. You mention that you only speak to those made in God’s image. Does that mean that you have become Christian Identity, and if Christian Identity, of the Dual-Seedline doxology? Sometimes on your show you mention that archives of your broadcast can be gotten from the wwfar.com website. Be a straight shooter and if you mention the archives also mention that the recordings can only be accessed through payment of a donation to wwfar.com. Yep–you’re right. They used to be free for the first week. I haven’t looked at the archives in at least a year. I assumed they were still free, but when I looked a couple of days ago, I saw I was wrong. It’s not a question of being a “straight shooter”; the radio host changed his policy and I was not informed. Then it seems to me, someone is stealing from you. I have listened to you occasionally, usually covering for Melody Ceaderstrom. Thank you for the work to do, I can only say that I wish I lived in the United States like yourself. I have long believed that the English Bill of Rights was a flawed attempt to do what was finally done 100 years later in the Thirteen Colonies. Perhaps it was too early – a time and season for everything – or that the old monarchical autocratic powers were just too strong, or that America was just too far away & too big to control from 3000 miles away at the time with the technology of the day, whatever the case, the “Glorious Revolution 1689” was sadly a dead letter soon after it was accepted. America is the beacon and hope of the world, you know. Not in military terms, but in the best attempt to create a philosophy of day-to-day life, how a group of people, freed from the shackles of the past, can formulate a free and liberty loving country, if only given a chance. The United States of America has been an extraordinary country–in some regards unique. We are (were) the only country since the time of Judges in the Old Testament to create a political system (“republican form of government”) based on the presumption that all men within that system were endowed by their Creators with certain “unalienable Rights” and thus individual SOVEREIGNS. The Catholic law form of the Holy Roman Empire and the English lawform (after England broke loose from Catholicism) were both based on the belief that, in each nation, just one man received his rights directly from God (divine right of kings) and was therefore the only “sovereign” in that nation. All else were subjects precisely because they did not receive their rights from God. The USA was the first and only nation to ever declare (in our “Declaration of Independence”) that 1) “ALL men are created equal and endowed by their Creator with certain unalienable Rights”; and 2) that the primary business of government was “to secure these rights”. By declaring all men to be endowed by our Creator with certain unalienable Rights, our Founders thereby declared all men (not just kings or queens) to be SOVEREIGNS. By declaring the principle business of government to be “to secure” those God-given, unalienable Rights, the Declaration compelled government to be the people’s SERVANT rather than MASTER. It was that two-part declaration of individual rights and government duties that laid the foundation for American liberty and glory. Our government, of course, hates that Declaration since it makes government the servant of the people rather than their master. Our government has therefore worked steadily and mightily to remove even our memory of our former standing as sovereigns. Insofar as we’ve forgotten the basis for sovereignty and our standing as sovereigns, we Americans have acquiesced to growing governmental power and the loss of our own individual liberty. But Americans are beginning to reawaken to their spiritual history. As s result, some of us are now engaged in a spiritual battle with our purported government to restore the remembrance and recognition of our status as “sovereigns”. If we are successful, America will once more rise to glory. If we fail, your glowing praise for America will be relegated to the pages of history as America becomes just as much of a “hell-hole” as the rest of the world. America might still be the best of an increasingly bad lot, but today’s America is badly degraded from it’s former glory. It was contradictory. We started with high ideals in the Declaration, but once the American Revolution was won, those ideals gave way to the pragmatic (financial) realities of the profits of owning slaves. But our refusal to live up to our own foundational principles ultimately played a role in causing the Civil War–the single bloodiest conflict in American history. Today, we have again forgotten and abandoned those fundamental ideals as our politicians have agreed to prostitute themselves to the “highest bidders” and betray and even destroy this nation rather than serve the People. And we, once again, headed towards an economic collapse and possible national conflagration of a magnitude unseen since the first Civil War. The way out of this mess is the way back to the ideals first seen in the Declaration of Independence. The date of the “Glorious Revolution of 1689” just serves to remind me that the private Bank of England was founded the following year of 1690. The Bank of England was the first of the central banks practicing “fractional reserve banking”, which is now practiced worldwide…a not-so-glorious revolution. Protectorate, and Switzerland until 2000.
impedes unjust enrichment via legal fictions. capacity to appoint sheriffs as their supreme law enforcement agents. Independence in the 13 Colonies. merchants & bankers as well, and not just for aristocrats. My own preference is to stay clear of anything referencing United States or United States of America (first letter capitalization) as it denotes ‘of a corporation’ or ‘dead’ or ‘fiction’, and instead retain full ‘standing’ upon America solely. If there is reference is should be united States, i.e. all lower case united which is Proper spelling for proper definition. As such, I stand upon God’s good green earth without any political man made borders, accepting all that come and stand upon Her without discrimination or interests of ‘Profit’ for Pain and Death. State, or to restore the Free System of English Laws suspended by King George. I found your show thanks to a PAC newsletter directing me to your blog. I will listen to your show tonight, but from what I have read on wwfar.com we have very much in common in the way of our work. Hello Mr. Adask. I saw the 60 minute show and the way they tried to make you into a terroist. I am a everyday Alex Jones listener so I am aware of what is really going on. I also enjoyed listening to you on Alex Jones the other day. I didn’t know about you until 60 minutes. It is always refreshing to find people who are not cowards and or blind to whats really going on in this country. I am 33 and have never seen anything like it. I woke up in 2007 and had always felt unsure about the official statement about 9/11. In 2007 I started researching it. I am very concern about what is coming and have started to prepare. I believe a revolution is coming. I think it has already started. This government spits on the Constitution. Please keep up the great work. We need more people like you and Alex. Hello i listen to your audios weekly and had the adask audios mon tues wed sessions saved but they got deleted. I had a months worth. Do you have them? Nope. I know of one man who might have them, but he might want to be paid for copies. I’ll forward your contact info to him. Stop making me crazy; I have visited the traffic court twice lately and was completely bamboozled by their position that I was just there to submit to their money demands. Your Tuesday broadcast made it clear that I had left America and arrived somewhere unfathomable to any other than those sucking resources out of our pockets. So, we(that’s the Imperial we) need to post the info you referenced as soon as possible so I and others like me operating in the “state of confusion” may remove the yoke from our necks. Thanks for all you do to shed light on how we have veered off the rails to freedom. sheriff & state, since sheriffs are officers of the Crown, much like U.S. Article II of its draft) & every patriot denying this is thereby a fraudster. religious agents must be licenced to practice). want to tell them, to wear jewelry on their bodies that has silver or silver plated in it for keeping healthy, it is much better than wearing gold. The Freedom of Religion defense I used is described at https://adask.wordpress.com/2008/06/17/man-or-other-animals-1/. Thanks for listening to the radio show. You were great on coast to coast. I liked your answer to the guy that called in and talked about Tim Turners Republic. I think he is a fraudster but Im not 100% sure about that. Do you have any experience with http://teamlaw.org/ ??? I would really appreciate some feed back about this website and the work they do. Thank you for responding to my email, Your thoughts on the birth certificate made alot of sense and helped put my mind at ease. The social security number and vacinations are optional so we said no to thosel. I can’t remember his name, but I met the man behind Team Law several times in the 1990s. He always impressed me as sincere and not a con-artist. I presume that’s still the case, but I’ve had no contact with him in at least 10 years. thosel??? sorry I meant those. Al, The founder of team law is Eric Madsen. Do you have any experience with these people? I’ve not previously heard of that website. I’ll take a look. Seems to have really good information about the 14th amendment and some really good law reviews on the 14th. Wow! Just heard your 12/13/11 radio hour with David McDowell. His advice sounds so much easier and more straightforward than Dennis Craig’s. Hope you discuss it more on your blog and with Dennis Craig on Wednesday. Thanks and keep ’em coming! I enjoy your radio shows and all your guests that I have heard. The information you are putting out is eye opening to say the least. I received the email below just today and only today am I listening to the last program with Dennis Craig referenced below, which apparently triggered a termination of sorts, or did it? I don’t know, but if so I hope you might reconsider the matter re: Dennis Craig and his and your awesome material presented for many weeks running. The information Dennis gave on an earlier program which referenced The Hidden Tyranny by Charles A. Weisman I believe all to be true and important. But even if you disagree with Weisman’s writing, as you seemed to do, we can agree to disagree, without hard feelings. I woke up some 20 years ago to the workings of the people Weisman identifies, and the world makes better sense to me now after my awakening than before. I believe these people are behind all efforts to pervert and nullify the constitution, just as Benjamin Franklin predicted in 1789. I don’t know much of anything about how you select guests, just sorry that Dennis Craig may not be a guest in the future, perhaps due to his clumsy request not to be interrupted during presentation of material for that single program. I hope you will forgive him for his clumsily worded request. No question you have every right to speak as you so choose on your own program. I detected no effort by Dennis to take over your show, only to get his information freely out. I am posting this here because I could not find an email address for you, and hopefully you will see my comments here. I have been blessed by many of your shows, especially with Dennis, only sorry that I have also missed so many shows and don’t know where to find them long after they were made. Best to you and all your guests who are seeking and proclaiming much truth. > This is to provide notice that the attached recording, recorded Feb 29, A.D. is the last program that I have been allowed to conduct on the American Independence Hour with Alfred Adask. Alfred feels that I insulted him at the beginning of the program and decided to terminate any further programs. Thank you for listening, and to Alfred for the opportunity to share the knowledge that I have attempted to convey. > [12:38:58 AM] Alfred Adask: This was the last program we’re going to do. You Sir, are Outrageous in your Audacity to tell the Truth regarding these topics. I sense from your words and the manner in which you deliver them, that here is High Truth not diluted and poisoned by the corrupting filter of the Lame Stream Ene-media. 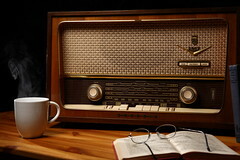 Al — When will the new radio show be established? Will they be archived and downloadable like the First Amendment Radio shows were? Please get them up and running ASAP — I’m already exhibiting withdrawal symptoms! Everything is up in the air right now. It appears I’ll be hosting “Financial Survival” from 3 to 4 PM (Central). Different format. Different subject matter. I don’t know if I’ll be able to continue. I feel compelled/”called” to tell my version of the truth each radio show, and that’s what I’ve been doing on the night-time show for the past 9 years. But I’m restricted on Financial Survival in a way that I may not be able to tolerate. We shall see. insists on misstating the most obvious, why believe her on the unobvious? I assume you’re talking about Donna Baron. I haven’t talked to her for about year. Maybe more. My last interview with her was probably 18 months ago. Maybe more. feudal terms alone, which you can read by clicking my screen name. faux pas in his first book as mentioned above, he definitely needs one. then someone born after his state ceased to be a State of the U.S.A.
supremacists use words ambiguously, and one that Roger should include. I salute Al and enjoy your banter with Roger & Melody. I believe our situation as a nation is dire! As a Christian, patriot and veteran I’ve been ‘aware’ for over a decade and been advocating a means of ‘accountability’ for ALL ELECTED & APPOINTED OFFICIALS in OUR COUNTRY! Would you, at your convenience, contact me. track record in forecasting the pullbacks. revive the Puritan Revolution from the previous century. Al, I’ve not heard Roger Sayles on your last few Tuesday shows. Has he moved to a different day, or is he no longer on the show? I always enjoyed those shows with you two. I also enjoyed having Roger on the shows. However, he and I had a disagreement and he went his way and I went mine. I don’t expect Roger to return to Financial Survival in the near future. What can I say about the “Sovereign Citizen Movement?”.. I will say this, A sovereign is not a citizen and a citizen is not a sovereign. The two words are not synonymous, meaning that they cannot label you as a sovereign citizen so reject that notion any anf everytime they call you that. Any reputable law dictionary will give you two completely opposite definitions for those words seperately. I have alot more insight and knowledge and anyone can email me anytime. If you truly want to be sovereign stop with all the damn filings and go to your nearest consulate and renounce your citizenship. It’s the only way!. Email me anytime at rtaylor04736@gmail.com I will not give legal advice but I will educate you and teach you how to better defend yourself(without violence) . Cuz remember, violence only begets more violence. thought you might like this and share with others that what they think is a state in one law is not the same in all laws. Gavel, Stethoscope & DollarsShould President Obama ignore an adverse ruling in King v. Burwell? That is the case recently argued in the U.S. Supreme Court. Plaintiffs argue that the Affordable Care Act (“ACA”) does not allow the federal government to subsidize federal health exchanges, only state-created health exchanges. The law itself is complex, totaling nearly a thousand pages in length. However, the statutory interpretation issue is straightforward. Alfred: I would invite you to the following website, before, I make any comments. I would solicit your comments thereon. First, you’ve done a good job of assembling a persuasive argument that could be presented to a court or jury. Second, I’ve yet to see a document or series of documents assembled by anyone that I couldn’t quibble with. I’ve also assembled documents and I also have some persuasive arguments to present in court or t juries. But, my arguments don’t prove I’m exactly right. My arguments simply prove that I’m ready to raise issues that government probably doesn’t want to address. I’ve had some successes which indicate that either my arguments are roughly correct or my arguments are simply so aggravating that the government would rather stay away from me than spend its time and money trying to defeat my arguments and risk letting a jury decide who’s more persuasive–me or the government. My point is that your arguments and mine are similar, but not identical. Your arguments may be better than mine; mine might be better than yours. I presume there are elements of my arguments that you would disagree with. There are elements of your arguments that I would quibble with. For example, you refer to the Constitution of 1787. I am wary of that reference. From my perspective, the fundamental issue behind any legal document is the authority behind that document. As I understand it, A.D. 1787 was the year that the Constitution was proposed, drafted and accepted by Congress and then sent out the States of the Union for ratification. Article VII of the Constitution required ratification by nine States of the Union before the Constitution could go into effect. As I understand it, the Constitution wasn’t ratified by the 9th State until A.D. 1788. So, when I refer to the “Constitution” I tend to say something like “the Constitution of the United States first established when ratified by the People of the Union in A.D. 1788.” I do that little dance to establish my reference is to the Constitution ratified in A.D. 1788 by the authority of People rather than the Constitution drafted and consented under the authority of Congress in A.D. 1787. It may be that my little “dance” is completely unnecessary. Perhaps no one other than me recognizes or even imagines a distinction between the authority of the Constitution of A.D. 1787 and the authority of the Constitution of A.D. 1788. But I do my little “dance” just the same because 1) I am technically correct; 2) even if my “dance” is irrelevant, it does no harm; 3) it’s one of the “i’s” that I suspect should be dotted; and 4) who can say? Maybe my “dance” has some significance. I.e., maybe if I refer to the Constitution of A.D. 1787, I’m unwittingly submitting to the authority of Congress while, if I refer to the Constitution of A.D. 1788, I’m recognizing the authority of the People. I’m not saying that reference to the Constitution of A.D. 1787 is wrong. I’m only arguing that reference to the Constitution of A.D. 1788 is better. It’s a quibble. You say “tomayto” and I say “tomahto”. Is either of us right? Either of us wrong? The technicalities are important because they give us confidence. But in the end, the most important factor may be whether we can make our “pitch” to a court and/or jury. If the jury “buys” your argument, even if your argument is technically imperfect or even mistaken, you can still win in court. If the jury does not “buy” your argument, even if your argument is perfect, you lose. The arguments you present on your website impress me as sufficiently technical and in depth that they could win in court. They aren’t all consistent with my arguments, but they could win in court. Just as my arguments, however imperfect, might still win in court. In the end, the courts are all like craps games. No argument is guaranteed to win (or lose). The only thing you can say for the best arguments is that they increase the probability of winning in court. Just listened to the archived 3-22-16 episode. FANTASTIC episode and great interview with Michael Ellis and Bob McNeil. Very revealing as to the fraud inherent in the implementation of the “income tax”. You helped take a complex and dry subject and make it understandable and interesting. Great work, both to you and to the efforts of Michael and Bob. I don’t know why. The newsletter is still be published, including one or two articles form me. All you probably need to do is sign up again on the DGScoins.com website. Al, where can the archives of your radio show be found now? Really enjoy your show. Thank you! Please tell me how to contact you. My son was taken and beaten and molested by Cps. I would like to tell you my story and ask some questions. Adask, Friday re. Roger Stone. You misunderstood him. Historically when a coup d’etat is successful the new government will kill those who helped make the change to prevent them from making another change.